Sitting at the top of the BRZ lineup, the 2018 Subaru BRZ tS price claims the highest for this model, but it is well worth it given the large number of features you get. The specs show off a vehicle designed with thrills and everything else you want from a sports car, and it includes enhancements over the other models in multiple categories, from the BRZ tS spoiler to other styling elements. The specs on this vehicle always include the manual transmission, so the 2.0-liter SUBARUB BOXER engine delivers 205 horsepower and 156 pound-feet of torque at 7,000 and 6,400 to 6,800 rpm, respectively. The six-speed close ratio manual transmission comes with a gear position display. It also has a starter interlock system, and hydraulically operated dry disc clutch with a single plate. This Edition gets several engineering upgrades, including enhancements to the chassis components. These additions include larger brakes, 326 mm ventilated discs in front and 316 mm ones in rear, compared to 294 and 290 mm, respectively, on the other BRZ models. The specs also include Brembo performance brakes. 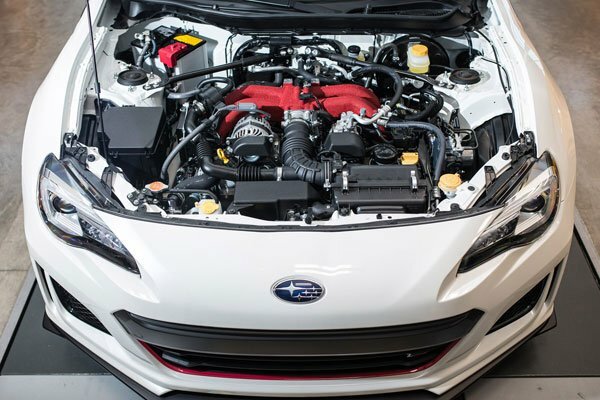 To make the chassis completely unique, it is the only BRZ with STI-tuned coil springs, SACHS performance dampers, and an STI-tuned front suspension featuring a flexible V-bar plus draw stiffener. In addition to the spoiler, this model adds a frameless rearview mirror instead of the standard one. Looking at the rear of the vehicle, you will notice that the tS has the BRZ badging in black. The power doors are also black on this trim. 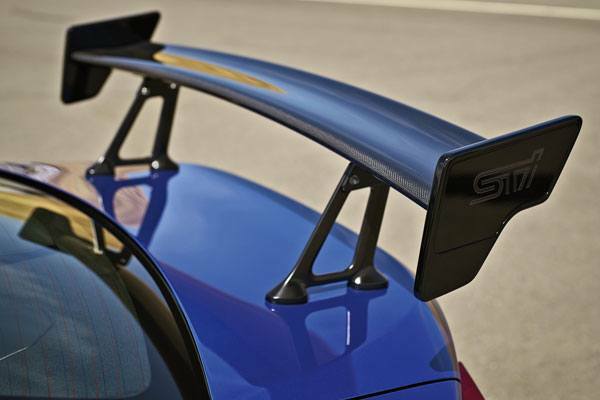 Of course, the STI front lip, rear side, and side sill spoilers are much more likely to catch your eye. 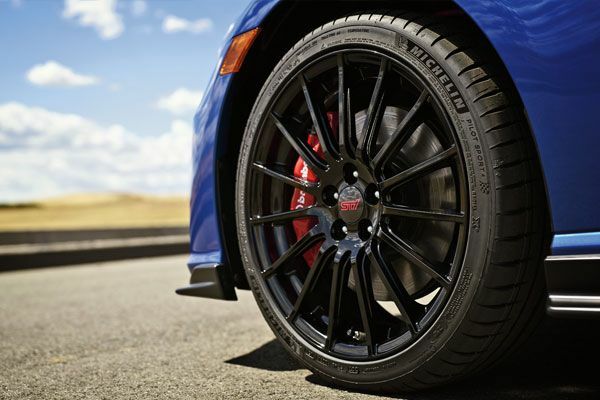 Perhaps you’ll notice the 18 by 7.5-inch black forged aluminum alloy wheels and R18 Michelin Pilot Sport 4 tires. The specs continue to deliver unique styling inside with STI gauges instead of their standard appearance. This trim level gives you the chance to appreciate sporty red interior accents. It also has an exclusive trim for the center console and door. 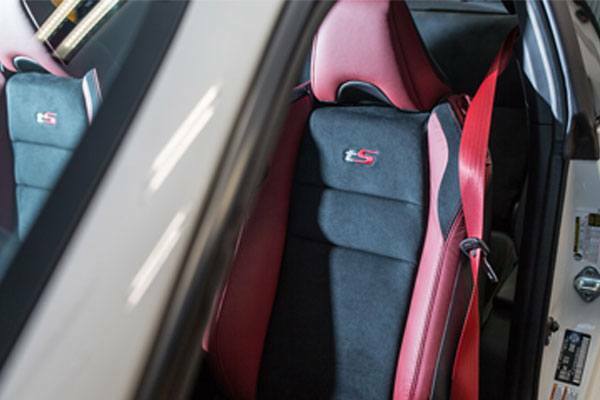 The interior is made from red and black leather featuring black Alcantara®. You also get red stitching plus embroidered tS logos to complement the accents. Even the seatbelt is red, and the shifter gets an exclusive tS trim. Click here to find out more about the Limited Edition BRZ tS at Budds’ Subaru, Oakville.